If there’s the recipe for running a warehouse successfully, it’s one that’s the blend of several aspects. For starters, it’s needless to say you’re going to want to make for a productive environment, where workers are focused on their tasks, and everything goes efficiently, smoothly. You can’t deny it’s not related to organisation either; keeping the environment neat, and well organised is essential just as much – you can’t leave out one or the other if you want to make for a safe workplace. What all these aspects have in common is the most necessary and basic material handling warehouse equipment: the pallet jacks. Also known as trucks, these vehicles were created to rid workers of heavy loads, and help them with the transport of items efficiently, and quickly, eliminating the risks of accidents and unnecessary injuries. Even being the most basic of vehicles, that doesn’t mean they can’t be customised in terms of their load capacities, and lengths of the forks. Based on your specific requirements, and how much of an investment you’re willing to make, you have the option to choose from manual and electric pallet trucks. 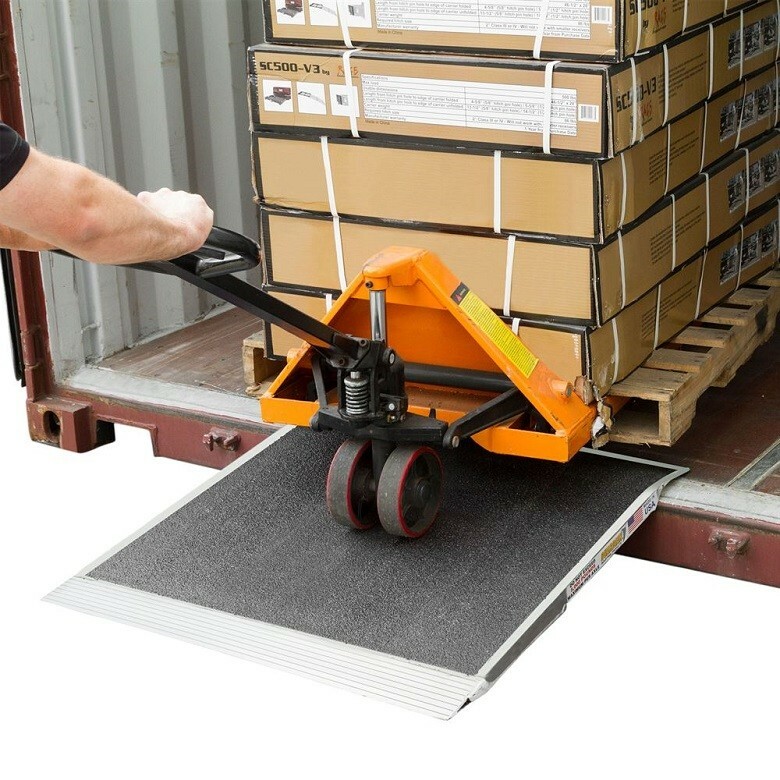 The reason pallet jacks make for a worthy investment is they can even be used in limited spaces where there’s no place for a forklift truck, for instance; they are that much easier to operate too! Available in a variety of configurations, and sizes, designed to meet your material handling requirements (loading, transporting, unloading, order picking), you can choose from the 2500kg capacity jacks, available in three different fork sizes, the 2000kg capacity ones, or the electric powered ones with the capable of carrying loads of up to 1500kg. It’s important to remember the manual operated jacks are simple to operate, working with a hydraulic pump and steel machine, though they are only suitable for low palletised lifts over small distances. There’s also the stand-on electric pallet jack designed for easy transport with long distances, carrying up to 2000kg. Then there are those electric variants that make for even much easier operation, enabling the operator to comfortably ride on the jack’s platform, which is why they are called ride-on jacks. This sort of warehouse equipment equals minimal effort when lifting and carrying loads, so you can bet they would significantly improve your warehouse productivity. As long as there’s a racking system in your warehouse, you need the adequate pallet jack. Remember to take the distance and load-lifting requirements into consideration, so you can make the most of this valuable purchase.